The Twittersphere was alight during and after ABC’s airing of QandA on Monday night. To my surprise, the words ‘Imam’, ‘Islam’ and ‘Religion’ were trending on Twitter. 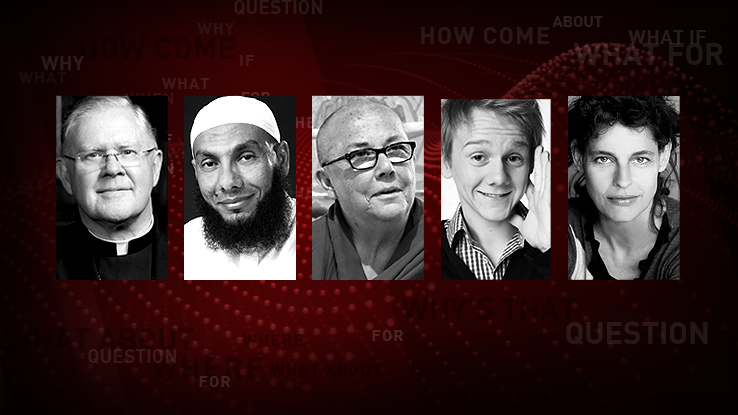 The interfaith panel comprising of Archbishop of Brisbane, Mark Coleridge; Imam, Dr Mohamad Abdalla; Buddhist nun, The Venerable Robina Courtin; Comedian and atheist, Josh Thomas and Jewish/Atheist singer songwriter Deborah Conway stimulated rigorous debate on social media. One panelist in particular however, seemed to have captivated the entire audience: Imam Mohamad Abdalla. It was incredibly refreshing to see (finally) an articulate, well spoken, highly educated religious cleric representing Islam and Muslims in Australia. He spoke with dignity and exhibited a calming and peaceful demeanour which resonated with many. He was rational and genuine – a breath of fresh air. He explained key Islamic concepts in a manner which sadly, had rarely been done on Australian mainstream media before, offering much needed insight and understanding. In that regard, his appearance on QandA was therefore historic. I was particularly impressed by the fact that he made sure to distinguish between ‘Islamic extremism’ versus ‘Muslim extremists’. He also explained that there are a host of reasons for why young people feel disenfranchised and turn to violent acts of terrorism, including feelings of isolation and questions of identity and belonging. He articulately explained that religions do not posses a monopoly when it comes to human values, a comment which was met with hearty applause. In every aspect of his discussion, the key theme was finding common ground. In short, Imam Abdalla spoke a lot of sense. I watched on with pride. As did many other Muslims. He is by far, one of the best things to happen to the Muslim community in Australia for a while – an under-utilized talent. Don’t get me wrong, we have many articulate and very capable Muslim spokespersons that have previously spoken in the media about a whole host of issues. And we also have many knowledgeable and pious scholars – the issue at hand is – not many of these scholars are equipped with the necessary skills and demeanour to address national media. The Muslim community has been grappling with this issue for decades now. The Australian Federation of Islamic Councils (AFIC) now known as ‘Muslims Australia’ claimed to represent Muslims in Australia but failed miserably. Caught up in scandals, many in the community feel a sense of distrust and antagonism towards AFIC and its leadership team – both past and present. Imam Abdalla’s impressive performance on QandA prompted social media posts suggesting that Imam Abdalla should be considered for the role of the next Mufti of Australia. This is a view I wholeheartedly agree with and encourage. Perhaps as a community we need to come together and demand more from our leaders.